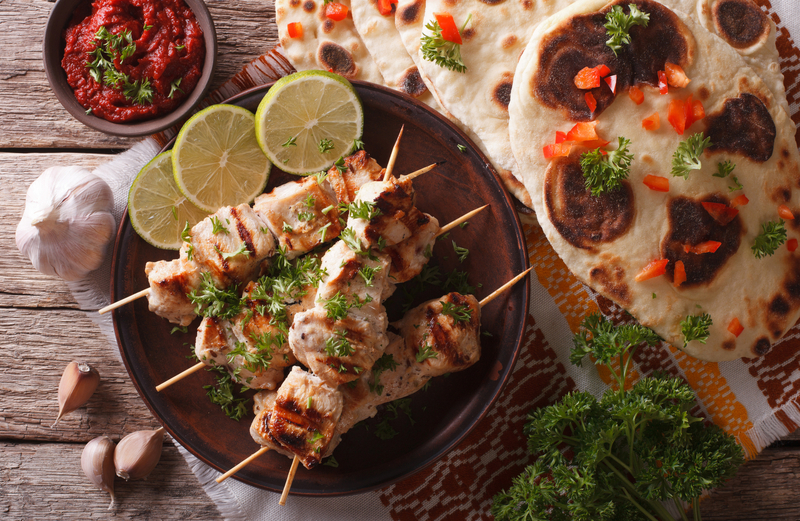 Ian Barker Butchers - Chicken Tikka Skewers – A Delicious World Cup Recipe! Put 8 wooden skewers in a bowl of water to soak. Mix the yogurt and curry paste together in a bowl, then add the chicken (if you have time, marinate for an hr or so). In a large bowl, toss together the cucumber, red onion, coriander and lemon juice. Chill until ready to serve. Shake off any excess marinade, then thread the chicken pieces and cherry tomatoes onto the pre-soaked skewers. Cook under a medium grill for 15-20 mins, turning from time to time, until cooked through and nicely browned. Stir the lettuce or pea shoots into the salad, then divide between 4 plates. Top each serving with 2 chicken tikka skewers and serve with the warm chapatis & it’s good to go!